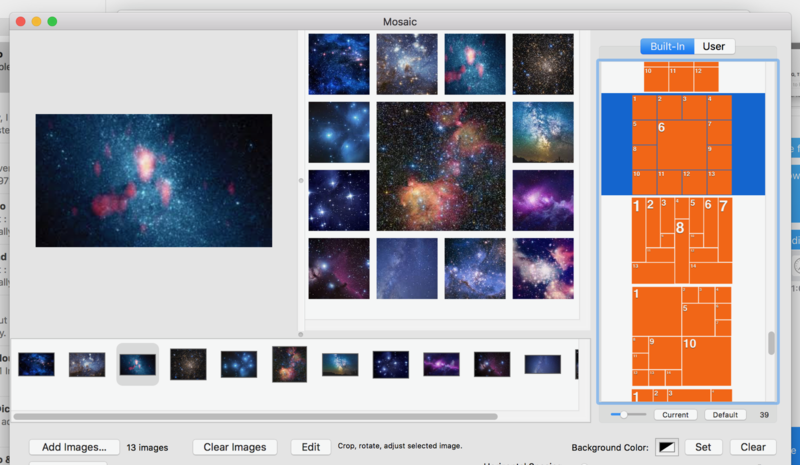 Create beautiful high-resolution photo collages. Mac OS X 10.10 or greater. Its free iOS companion Mosaic is available in the App Store. Mosaic is a fun app that creates collages consisting of tiles arranged according to a wide variety of layout templates. 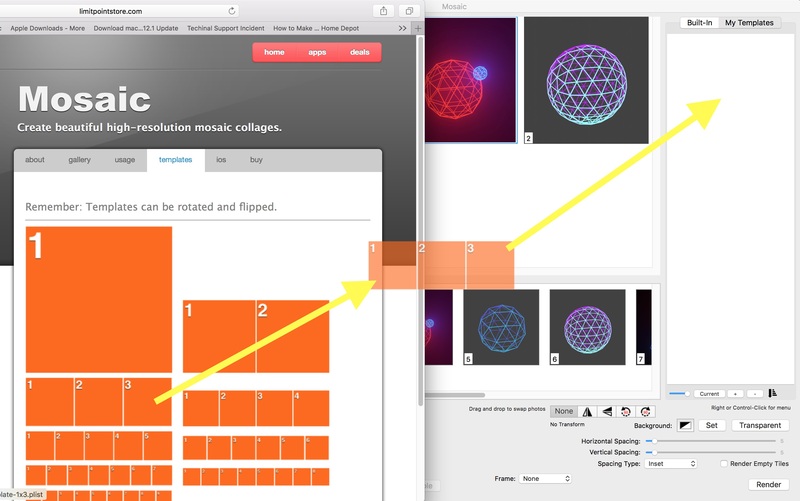 Mosaic contains 48 built-in templates, but you can make your own in the Mosaic iOS editor, or download many additional templates from the website using your web browser or inside the app itself. Because templates can be dragged "in and out" of the app "from and to" the Finder you can share them, store them, email them etc. Each template is actually up to 5 different layouts since each can be rotated 90º left, rotated 90º right, flipped vertically or flipped horizontally. 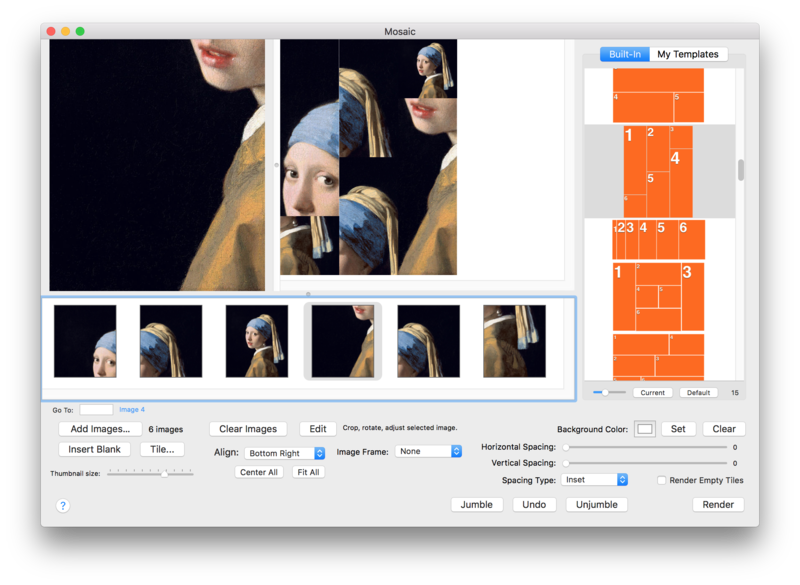 You can set the spacing between tiles in the template, and set the background color exposed by this separation. 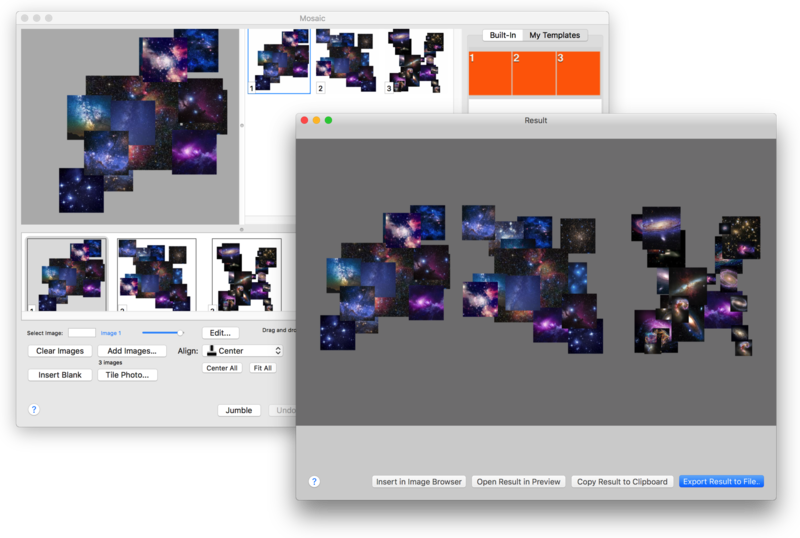 As an alternative to templates Mosaic has a feature called "Jumble." This mode of Mosaic randomly places the centers of each tile in the view. You can apply a jumble many times until you like the result! Blender: Join photos with various blending margin widths vertically, horizontally or square. 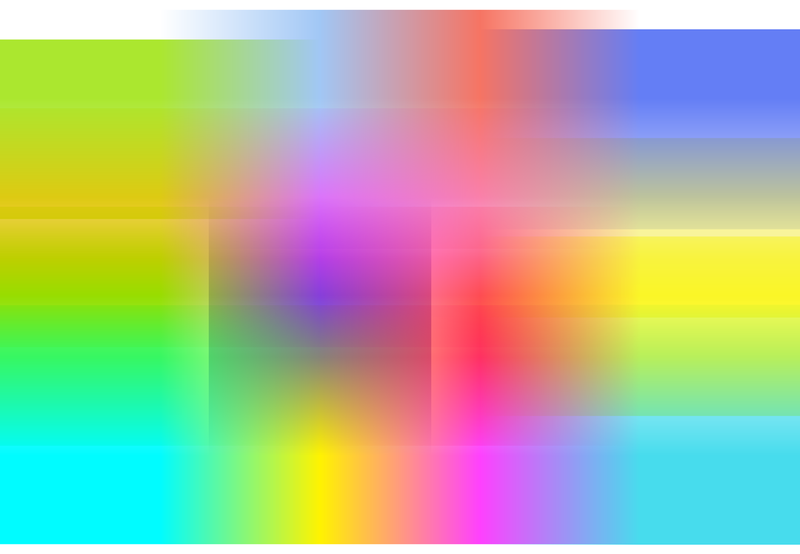 Tile: Segment any photo into an array of rectangular sub-images. The number of rows and columns in the array can vary from 1 to 9. 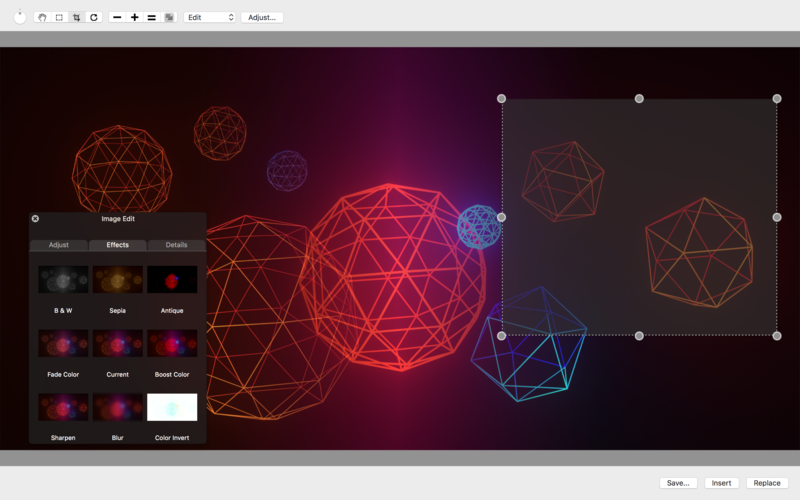 An internal simple image editor conveniently provides photo cropping, rotation, adjustments and filter effects. 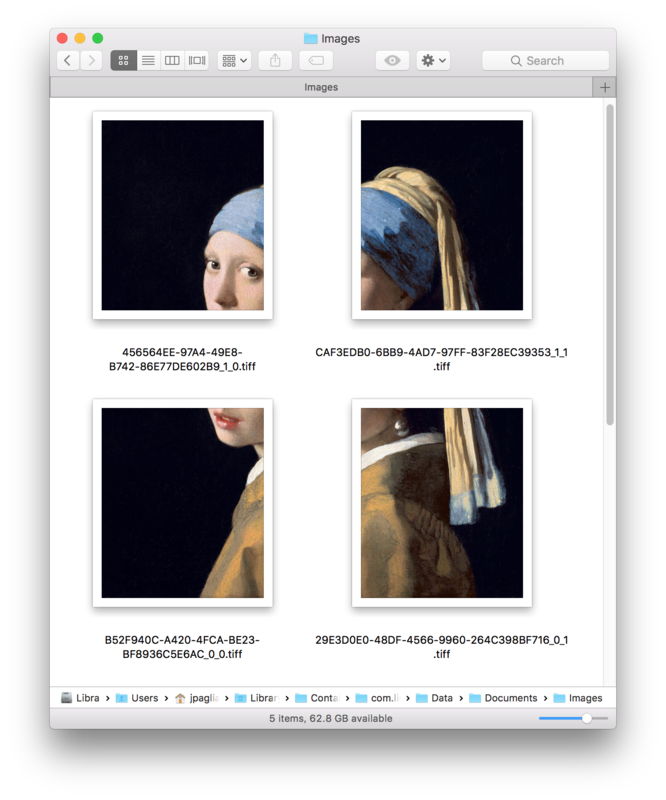 Edits can be saved to a file or directly inserted to the image browser for the current mosaic.